The Dallas-based chain landed in Houston with boils. We tried other things. At left, the crab-stuffed tater tots. 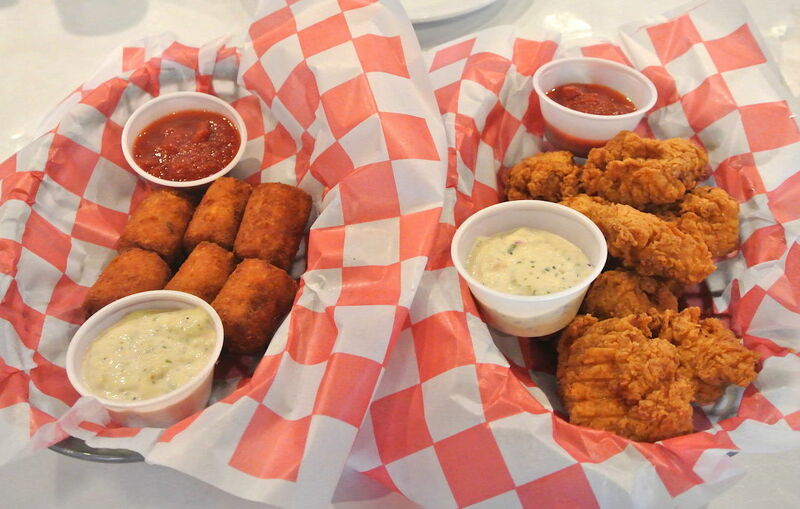 At right, the alligator tenders. It's Shell Shack! 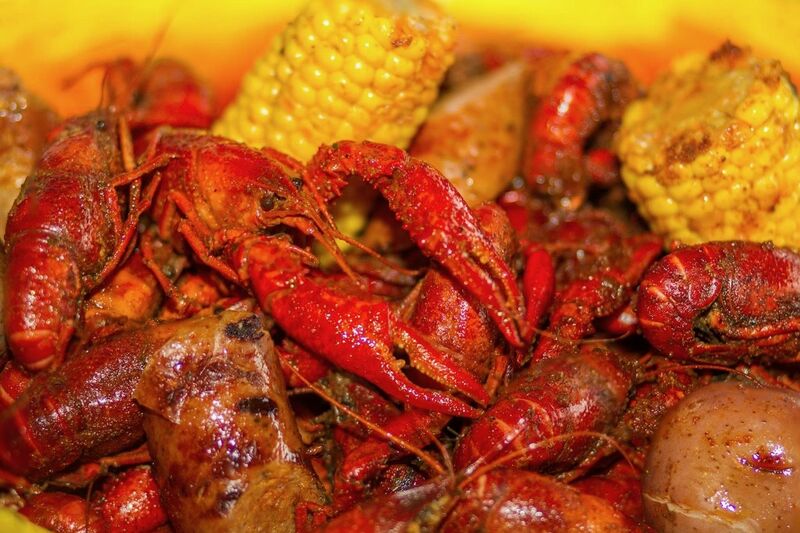 Shell Shack has incentive to fib about the beginning of crawfish season. 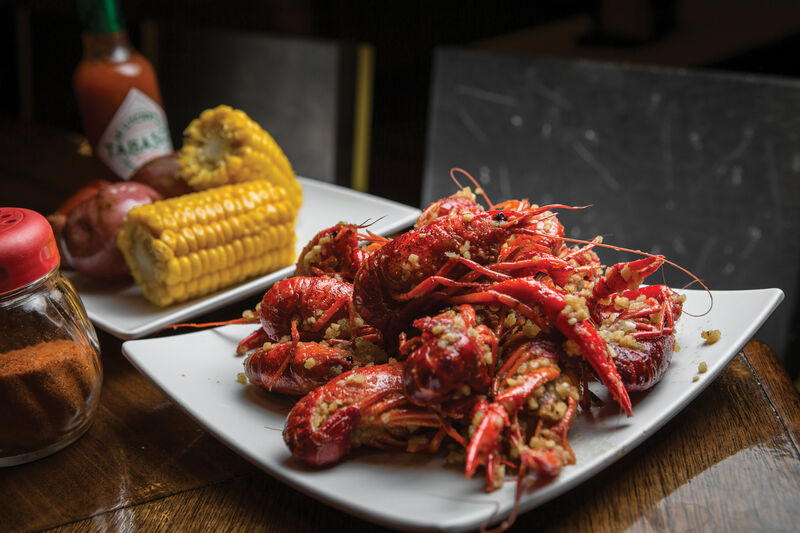 The Dallas-based chain, landing in Houston for the first time in August (on Washington Avenue at the former Social Junkie space with two stories and plenty of outdoor seating), wants you to eat crawfish, king crab, snow crab, Dungeness crab, and shrimp in one of its trademark boils. 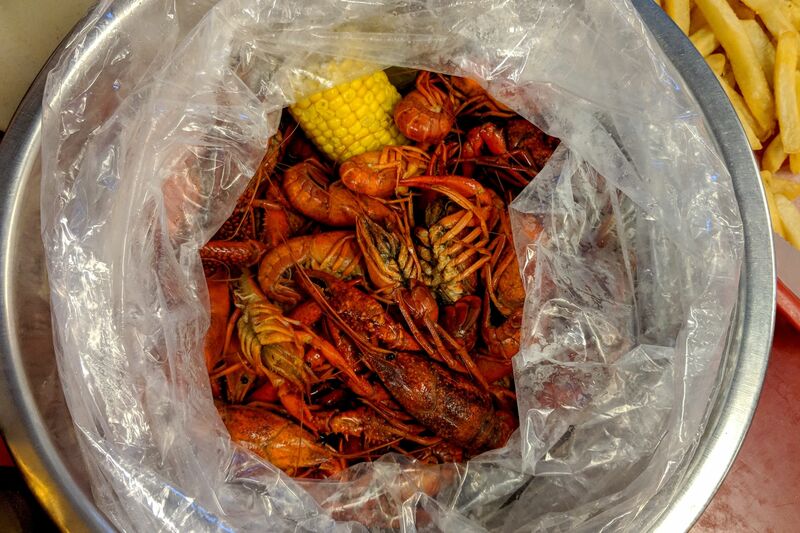 The boil system is simple: Pick the seafood, the flavor (cajun, garlic, lemon pepper, kitchen sink), the heat (mild up to diablo), and the extras (sausage, potatoes, corn). You’ll pay market prices for the seafood (about $15 for shrimp up to about $35 for king crab). During my visit last week, however, I sampled two quiet starters: the alligator tenders and crab-stuffed tater tots. 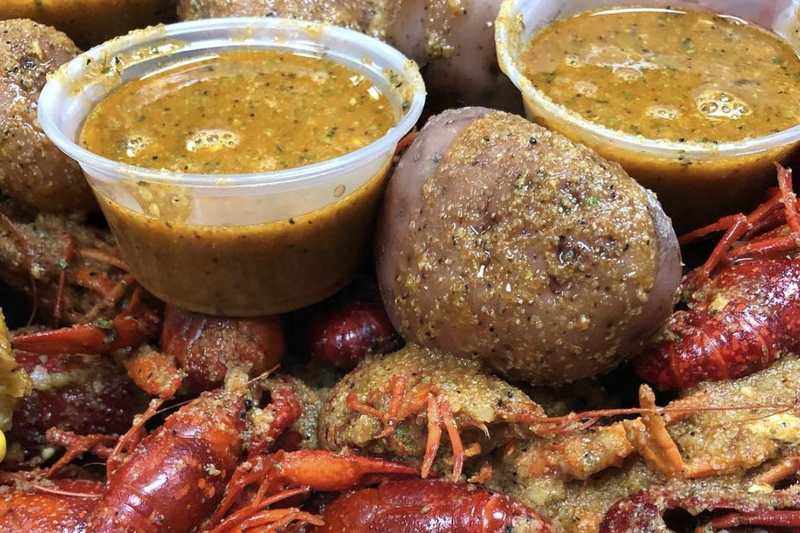 Because if Shell Shack succeeds in the Bayou City (where you may already have a favorite boil spot), I imagine a lot of it will come off the backs of its bar program and non-boil items. First, the bad news. The alligator tenders are fun in theory but are relatively one-note, lack seasoning, and a bit of a chore to chew. More than once I bit in only to pull out more scolding-hot meat than I wanted. But, hey, the crab-stuffed tater tots are good. Thinly breaded (they’re not so much tots as they are poppers) and stuffed with crab meat, peppers, and a little cheese, they make a fine bar snack. I could've had multiple baskets. Curious as to the presence of cheese, I asked my server, who then had to ask a cook, who replied with “I gotta check the box.” Man, I’d love to try some from-scratch crab tots.